I just downloaded your newly released Street Cuts app. It’s wonderfully engaging! Can you tell us something about the concept behind it? 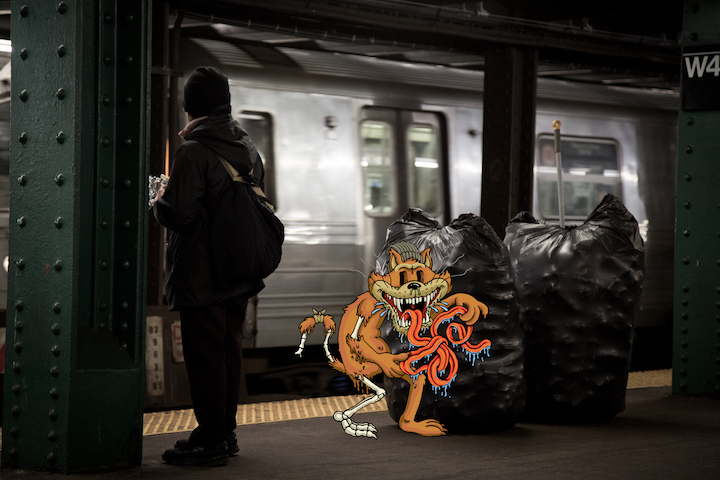 I’ve always loved stickers and their role within the street art community…the way they are collected, traded, and often well-placed on the street — especially on other images like ads. It seemed only natural to bring street art to digital stickers, especially with iMessage, which allows you to drop stickers into your conversations or onto your photos. 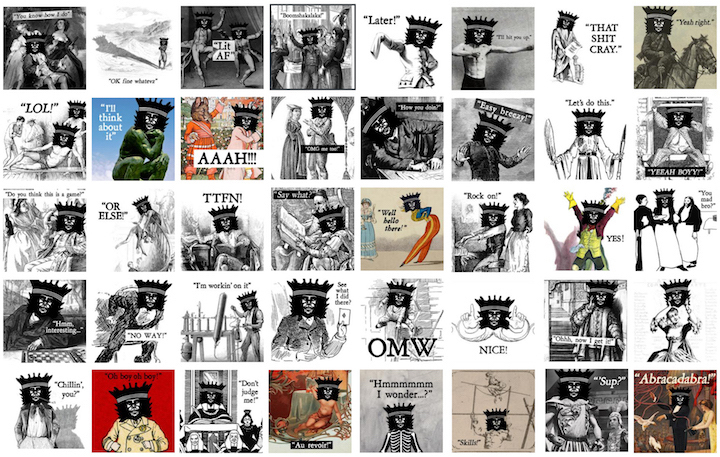 It felt like a fun way to explore “digital vandalism.” Also, I liked the idea of building a collective of street artists who weren’t being asked to simply “work for exposure,” but would be paid for their work. This Street Cuts app makes that possible. What about its name — Street Cuts? 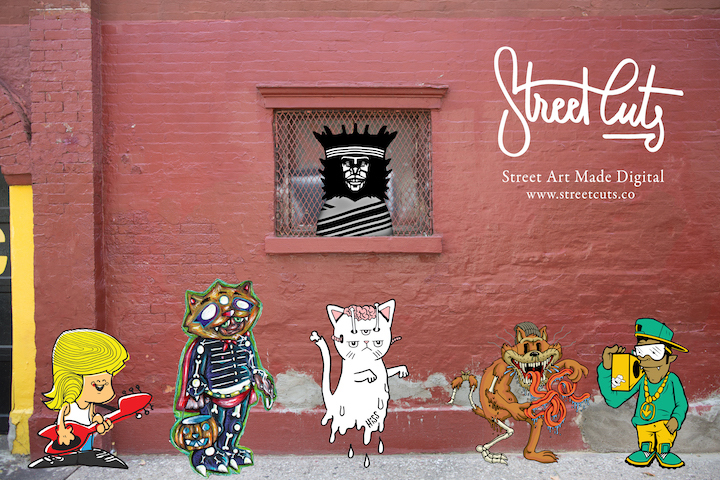 When we started developing packs — like Hiss’s and City Kitty’s — made from my photos of their work on the street, we began calling them Street Cuts. We soon realized it would be a cool name for the app, itself. Who are some of the artists involved in Street Cuts? It is a growing collective with more artists to come. 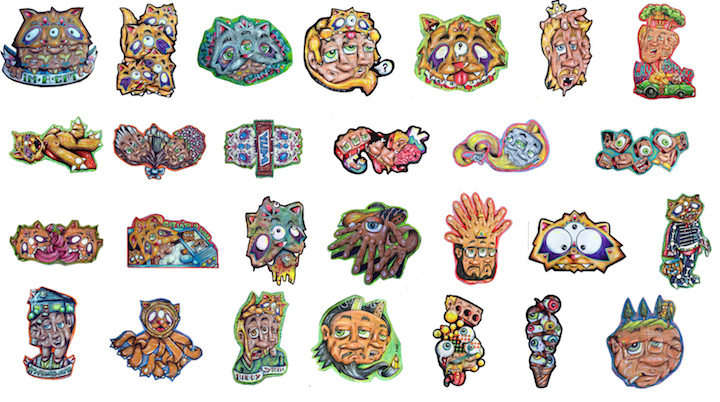 But for the past few months I’ve been working closely with HISS, Abe Lincoln, Jr., City Kitty, KNOR, Belowkey and the Primate, as they developed digital sticker packs. How can artists become involved in your project? I’m sure there are many who would like to be included? How can we find out more about it? 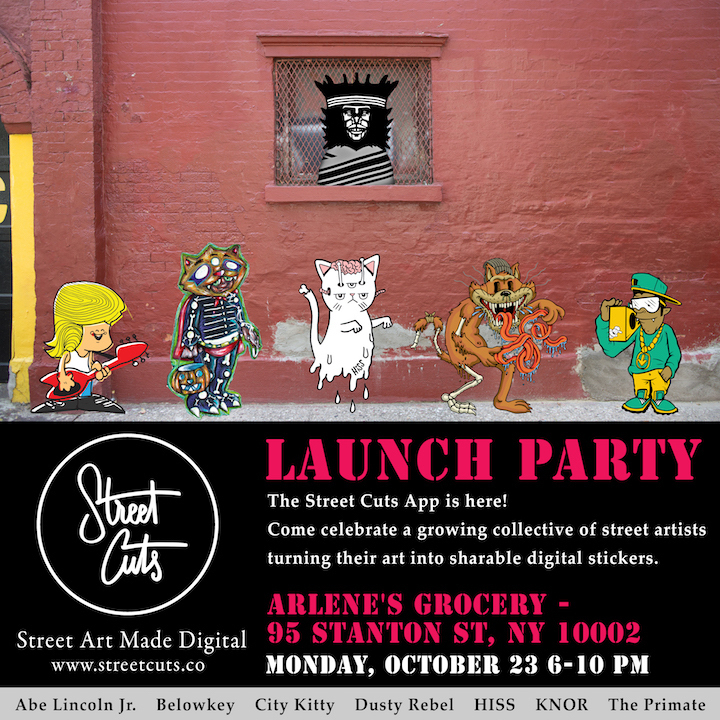 You can come and celebrate the launch of Street Cuts this coming Monday, October 23, from 6-10pm at Arlene’s Grocery, 95 Stanton Street on the Lower East Side. The launch party will include a scavenger hunt, give-aways, and original work by the app’s featured artists, who will also be in attendance. Be sure to download the Street Cuts app first and follow us on Instagram for Scavenger Hunt details. All images/photos courtesy Dusty Rebel; the second image features Abe Lincoln, Jr., HISS & KNOR; the third KNOR; the fourth the Primate and the fifth City Kitty; interview conducted and edited by Lois Stavsky; the app​ ​is produced​ ​by​ ​​Itsy​ ​Bitsy​ ​Media​​ ​and​ ​developed​ ​by​ ​​Tanooki​ ​Labs​.